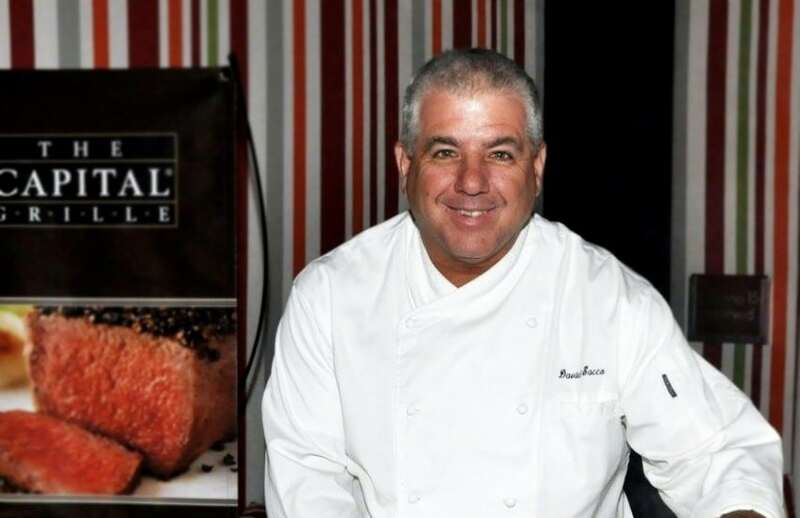 Dave Sacco, Executive Chef-Partner of Capital Grille Las Vegas, has earned quite a reputation through his culinary travels that he has brought to bear for “America’s Steakhouse”. Not only has he earned plaudits including a Golden Scepter Award from the Southern California Writers Association, he is a certified Sommelier. Of course, it’s his love for seafood that brings him to Santa Monica Seafood. Though his family didn’t cook a lot of seafood during his childhood in Connecticut, early memories of digging for clams and fishing for bluefish on the Long Island Sound have turned into Alaskan fishing expeditions for Halibut and Salmon as an adult. From his education at Johnson & Wales University to his time serving in the kitchen of world-renowned Chef Jean Banchet, Chef Dave has carried one truth from Chicago, to Newport Beach, to Long Beach, to Lake Tahoe and, since 2004, to Las Vegas: cooking should be fun! What makes seafood fun is the variety of ways it can be cooked. Away from the kitchen, Chef Dave is a devoted family man who has been married to his wife Dina for 31 years. Together they have raised two beautiful children. On top of all that, he is also a scratch golfer. Though he credits his Santa Monica rep, Todd White, with unfailing customer service he does note that you can’t trust Todd to hit a golf ball straight on the fairway.